Everyone involved in youth sports is becoming aware of the risks associated with concussions. 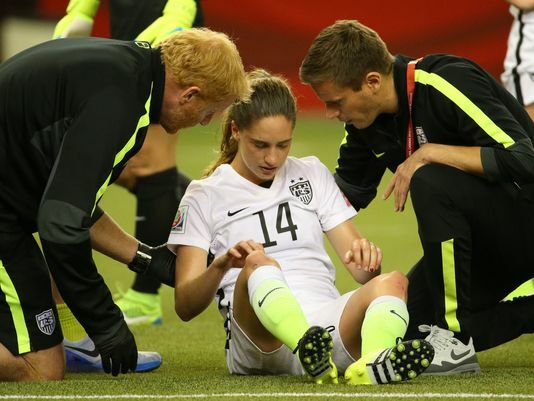 ASC is adopting policies consistent with already published concussion guidelines from the US Soccer Federation (USSF), where our focus is on the health and safety of our players. (USSF’s full Recognize to Recover injury prevention initiative, which also includes information on cardiac safety and heat-related illnesses, can be found here). ASC requires all coaches, assistant coaches, and managers to complete the free, online CDC training program on head trauma called “Heads Up: Concussion in youth sports.” This is a simple 20 – 30 minute course that explains what concussions are, how to detect them, how to avoid them, and how to deal with players you feel may have suffered one. You will need to email your certificate of completion (provided at the end of training) to the Rec Teams Coordinator for rec teams or the Islanders Competitive Teams Coordinator for competitive teams. For more information, you can download the USSF-CDC Concussion Fact Sheet for Coaches and encourage appropriate-aged players to download the USSF-CDC Concussion Fact Sheet for Athletes. Eliminating heading for children 10 and under (U-11 programs and younger). NOTE: Referees will be enforcing this ruling by awarding an indirect free kick whenever a player deliberately heads a ball in a game for teams playing in U-11, U-10, U-9, and U-8 age groups. NOTE: If you are playing in a CalNorth tournament, there is no heading for children ages 12 and younger in games (see CalNorth Announces Heading Protocol). Limiting the amount of heading in practice for children between the ages of 11 and 13 (U-12 and U-14). More specifically, these players are limited to a maximum of 30 minutes of heading training per week, with no more than 15-20 headers per player each week. Inform parents of any direct head or strong bodily impacts and recommend evaluation for a concussion by a health care professional before allowing the player to continue practice. Use the guidelines in the USSF Fact Sheet and/or the CDC training program to guide on-field evaluations. Always follow referee recommendations on player safety during games, especially the removal of a player suspected of concussion from all play until cleared by a medical professional. If a referee removes a player for suspicion of conclusion during a game, that player CANNOT return to play until cleared by a medical professional in writing. Allow players suspected of concussion to return to play only when provided written approval from a medical professional. We are also following USSF and NorCal recommendations to modify substitution rules to allow players who are suspected as having suffered a concussion during games to be evaluated without penalty. ASC supports this initiative, but will follow JLYSL referee procedures. The health and safety of our players is very important to ASC. We have instructed coaches to prevent any child suspected of concussion from returning to play until cleared in writing by a medical professional. We encourage all parents to become educated about concussion identification (download the USSF-CDC Concussion Fact Sheet for Parents for a quick reference or take the online CDC training program), and also support USSF’s recommendations for baseline concussion testing by your child’s primary health care provider, if available (not all primary healthcare facilities have the necessary equipment or training).